This evergreen succulent is a useful groundcover and has round, green leaves accented by small white flowers that attract bees. It reaches 24" tall and will provide good cover on banks. 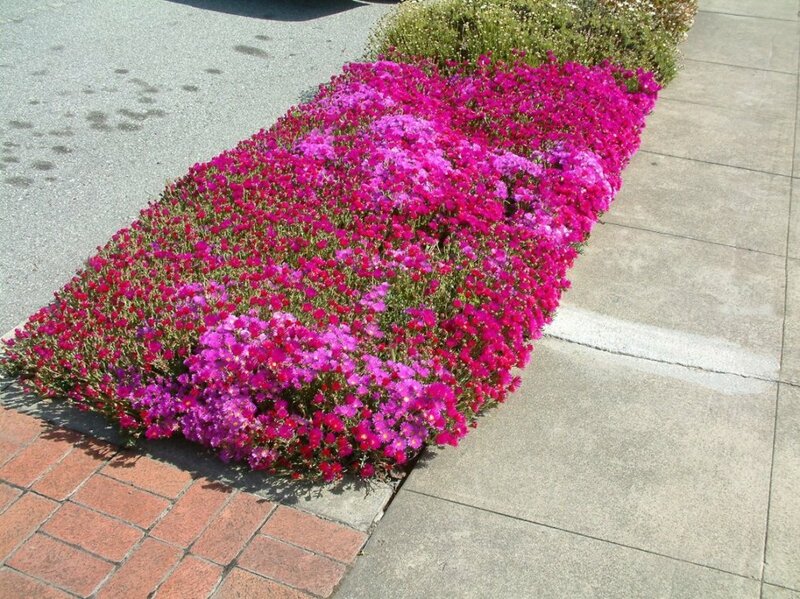 This succulent groundcover is a moderately fast grower, spreading 2' wide and mounding and can grow 6"-12" tall. During the spring, it is covered with flowers could be shades of pink, purple or white. Leaves are gray green. This mounding succulent does best in full sun and is drought tolerant. It needs good drainage. It may need to be periodically cut back to rejuvenate the plant. This succulent will grow less than 1' tall and has grayish/green leaves with purple flowers that bloom throughout the year.